Goose Island Wrigleyville Closed For Good -- Addison Park On Clark Nearing? 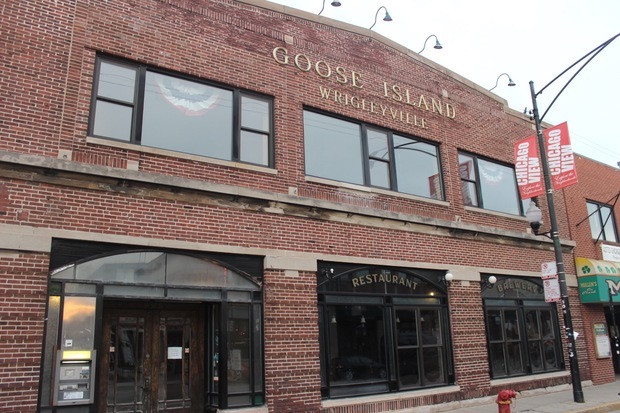 Following its final season in Wrigleyville, Goose Island removed its brewing equipment Nov. 17. WRIGLEYVILLE — After squeezing in one last Cubs season, Goose Island Wrigleyville has closed its doors for good. The brewpub announced the closing on its website, but didn't share the news on its social media accounts, which have been inactive since late October. "After 17 wonderful years, Goose Island Wrigleyville has closed our taps for the last time! We want to thank our loyal patrons and stellar employees for their support and invite them to visit us at Goose Island Clybourn at 1800 N. Clybourn," the brewpub wrote. 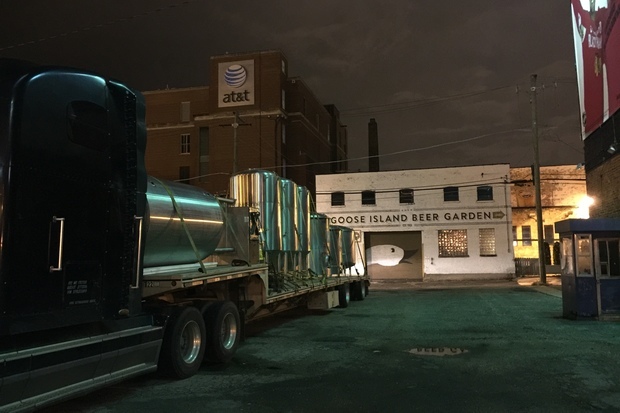 On Nov. 17, Goose Island's brewing equipment was removed. The brewpub's Lincoln Park location will remain open. Goose Island intended to close the Wrigleyville location, 3535 N. Clark St., at the end of the 2014 season, but decided to remain open for one more Cubs season, reopening in April. As of Dec. 8, Goose Island Wrigleyville is closed. The change in plans stemmed from the delayed start of construction on Addison Park on Clark, a $140 million development expected to bring 170,000 square feet of retail and 148 rental units. The city approved the development in October 2013 after years of planning. On Monday, Ald. Tom Tunney (44th) said financing for the project should be in place by the end of 2015, but some leases were still being negotiated. In November, Tunney's chief of staff told Triangle Neighbors that developers were still working with the city on "administrative revisions," but would be applying for building permits "in the near future." Heading into 2016, Addison Park on Clark will be among a throng of changes near Clark and Addison. The second year of Wrigley Field renovations will include building the plaza and office building north of the intersection. Tunney also said the nearby McDonald's, 3620 N. Clark St., will close in the first quarter of 2016, making way for a hotel that will house the fast food eatery on its first floor when complete.